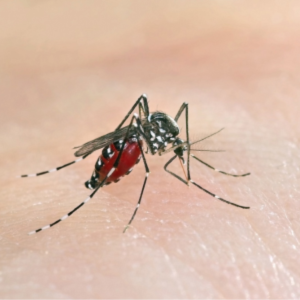 Home » Pests » What Attracts Mosquitoes? Why Are Mosquitoes Bugging You? Here's the buzz on what attracts mosquitoes to your skin and yard. While males do not bite, female mosquitoes target a meal of blood to produce more eggs. But what attracts them to us? Well, mosquitoes have an incredible sense of smell. ✅ Initially, mosquitoes smell the carbon dioxide we exhale when we breathe. A mosquito can sense our breath from thirty feet away. As all animals produce carbon dioxide, the mosquito comes closer to investigate what species we are. ✅ As they buzz near, they smell our unique and identifiable human odor due to a particular combination of body chemicals. So far, all signs point toward a tasty treat, so they come in for a landing. ✅ A mosquito's legs have keen receptors. When she lands, the mosquito feels our body heat and knows she is on a living creature. At the same time, she tastes our skin and sweat and, thus, is happy to partake in her favorite meal. 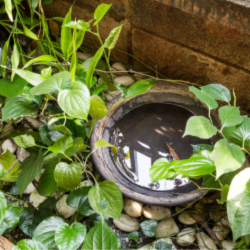 Stagnant or Dormant Water: Mosquitoes can lay viable eggs in less than a quarter-inch of water. Humidity: Mosquitoes love tropical environments. While they can live anywhere (except Antarctica), they actively seek out moist, muggy areas. Scents: Sweat and lactic acid are especially attractive to mosquitoes. They find floral, fruity, and steroid (from medication) smells almost as appealing. Dark Colors: Mosquitoes have excellent night vision, as they hunt in shadows. Dark colors are attractive to them. Motion: Waving your arms around to shoo them away is actually ineffective. This type of movement signals to them a living animal. Urine: Be sure you and your pets do your business well away from where you spend time outdoors. Tall Grass and Untidy Foliage: Natural, wild-grown areas collect moisture and are great places for mosquitoes to hide. 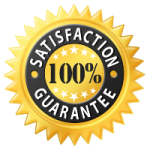 YardDoc strives to improve your outdoor quality of life with biological organic pest control and pest prevention education. Contact us to set up a comprehensive plan.